Aves Apoxie Sculpt combines the features and benefits of sculpting clay with the adhesive power of epoxy. 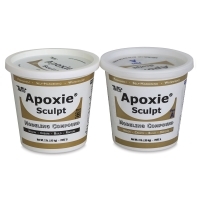 Great for sculpting, bonding, embellishing, and filling almost anything, it adheres to nearly any surface, including plastic, wood, metal, ceramic, glass, polymers, foam, and fiberglass. 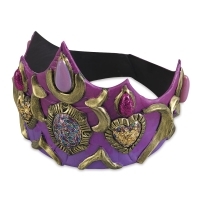 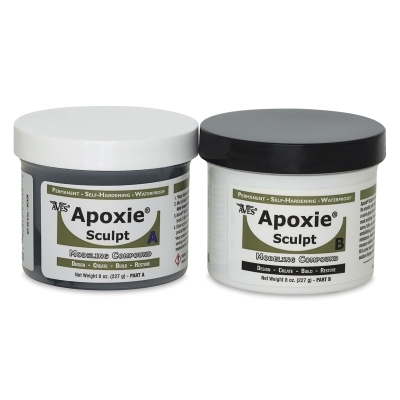 Use it to make cosplay props and accessories, outdoor displays, 3-D graphics, and more. 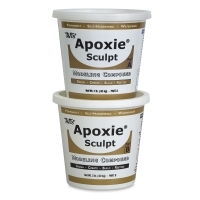 Easy to mix and use, Apoxie Sculpt has a smooth, putty-like consistency and a long working time of 2–3 hours. It self-hardens with no baking, and cures to a waterproof semi-gloss finish within 24 hours with no shrinkage. 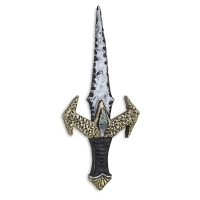 When hard, it can be sanded, drilled, or carved without chipping or cracking. It also accepts paints, stains, mica powders, and more for an endless range of finished looks.